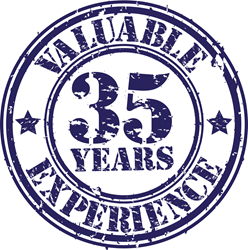 Videotel is marking its 35th anniversary in the commercial digital signage product market. As a pioneer in the industry, Videotel has been the developer of many firsts, including the first manufacturer in the digital signage arena to introduce a new interplay module to the industry. The IPM allowed the user to trigger specific video content with the touch of an LED button, use of a motion sensor, and wave-to-play technology. Enhancing the interactive experience, the IPM was a major hit in many vertical markets, including retail, hospitality, and healthcare. Videotel has exhibited at many industry shows and expos with products like Elevate, which allows customers to display a product on top of the Elevate box and trigger content to the screen within the display. Videotel's VP70 XD industrial media player seamlessly loops files for a smooth, visual, appealing viewing experience. It also features HDMI resolution, multi-function remote control, video cables, multiple transition options, and a USB card. Other Videotel flagship products include the HD2600 industrial- and medical-grade looping DVD player and the VP71 industrial-grade interactive digital media player. The HD2600 is designed to automatically power on, auto loop, auto repeat, and auto play without any manual interaction.